Provide comfort for the family of Isobel McGill with a meaningful gesture of sympathy. It is with extreme sadness that we announce the passing of Isobel McGill at Rideaucrest Home in Kingston Ontario. Isobel was born in Carleton Place but lived in Almonte for most of her life. She was what can best be described as “the salt of the earth”. Isobel is predeceased by her husband Russell McGill and her daughter Lynda Krueger (McGill). She will be truly missed by her son Carl, and his partner Laurie Crawford. 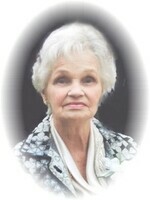 She will also be missed by her daughter Brenda Balkwill (McGill). Dearly loved grandmother of Maryn McGill, Kelsey Moor (McGill) (Jeff Moor), Connor McGill, Lance Krueger (Megan Krueger), Brooke Krueger, Tavis and Josh Balkwill. Great grandmother to Paisley and Knox Moor and Marshal and Russell Kreuger. A Graveside Ceremony will be conducted at the Auld Kirk Cemetery on May 25, 2019 at 12pm with a Celebration of Life to be announced at a later date. C.R. Gamble Funeral Home and Chapel Inc.
We encourage you to share your most beloved memories of Isobel here, so that the family and other loved ones can always see it. You can upload cherished photographs, or share your favorite stories, and can even comment on those shared by others. Provide comfort for the family of Isobel McGill (Crawford) by sending flowers. I just found out about Mrs. McGill so sad to hear of her passing. She was truly a nice person that always made me feel welcome at her house. My grandmother Vera Seward lived right beside her, in fact my father bought that property from Mr. and Mrs. McGill. A very special lady indeed! My condolences to the family. My deepest condolences to my Aunt Isobel who was the kindest aunt a person could ever ask for. Although I didn’t get to see her much she was always in my heart and in my thoughts. Growing up our family always looked forward to going to visit her and Uncle Russel and family. Love you always Donna (Cadarette) Brazeau. To the McGill Families... We are very sorry to be reading this, Isobel was a wonderful woman and will be missed...I remember her fondly, our thoughts and prayers go out to you in this very sad time.